Want to shed a little light on those dark and dingy recesses of your computer case? Boasting 18 built-in LED's and a length of 12 inches, this Blue LED Sunlight Stick is here to brighten things up within any modded chassis. 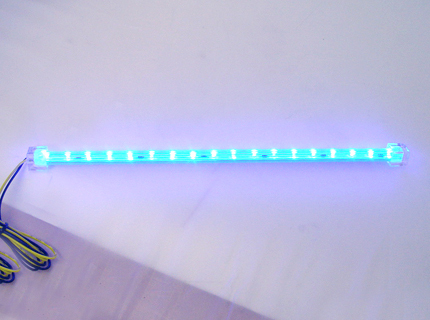 Awash in a sea of cool blue, the Logisys LED Sunlight Stick features 27.5” long 22AWG wires with both male and female molex 4-pin connectors. The 22AWG wires can also be cut to two bare wires, allowing the user more room to fit a variety of different applications.